I just wanted to express my heartfelt thanks for all you and your staff have done for me. You have treated me with kindness and respect. I am so pleased with everything. Again, thank you so very very much! I have known Doug both personally and professionally for many years. 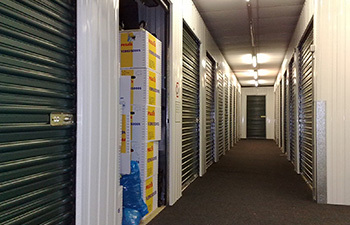 He is an excellent trial lawyer who fights tirelessly for his clients. He is also an outstanding human being. Doug and Gaby, Thank You, Thank you, Thank You. You really know how to get things done, and you do everything so well. It's a pleasure to work with you and a pleasure to wish you a wonderful day! If you have been injured in Folsom or anywhere in the Sacramento Valley, call the Folsom personal injury attorneys at Adams & Corzine. Don’t go through the process of dealing with insurance companies and hospitals alone if you have been in an accident in Folsom. Having an experienced personal injury and accident lawyer by your side that you can count on for support and wise counsel will make the entire process more bearable. Our experienced Folsom accident attorneys are here to help you through the legal process. After all, injuries often mean steep medical bills and financial stress, and why should you have to bear the burden of a loss caused by something that was not your fault? 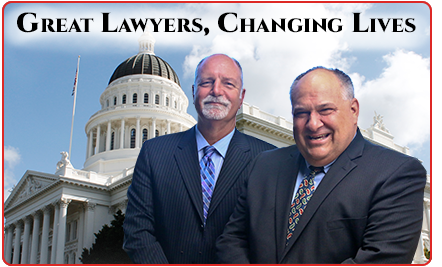 Personal injury lawyers Douglas Adams and Michael Pazdernik, each with over 30 years of litigation experience in personal injury cases in Sacramento, have the commitment and compassion to represent you effectively, and help you navigate the legal maze to receive the compensation you deserve. With a long track record of success as personal injury lawyers in Folsom, Mr. Adams and Mr. Pazdernik are experienced trial attorneys capable of providing excellence in representation leading up to and throughout a personal injury trial in Sacramento. They are both members of the prestigious American Board of Trial Advocates (ABOTA), and are AV Martindale-Hubbell rated. Adams & Corzine is committed to achieving justice and success on behalf of its personal injury clients. Based in Folsom, Adams & Corzine represents clients across Sacramento ranging from individuals in all types of personal injury matters to small business owners, property owners, non-profits, and high-net-worth individuals. Located in Folsom, our personal injury attorneys represent clients in Sacramento, South Sacramento, West Sacramento, Midtown Sacramento, Folsom, Granite Bay, Roseville, Rocklin, Loomis, Citrus Heights, Fair Oaks, Orangevale, Carmichael, Natomas, Rancho Cordova, Rancho Murieta, El Dorado Hills, Cameron Park, Shingle Springs, Placerville, Davis, and Woodland. Whether you have suffered a minor injury or a more significant one in Folsom, including a catastrophic injury or the death of a loved one, it is essential to choose a personal injury attorney who understands your pain and frustration. It is also important to choose a local personal injury attorney in Folsom who can meet with you to discuss your case, make court appearances and provide you with regular updates. Our Folsom-based personal injury lawyers are here to ensure all of our clients’ legal needs are taken care of. But we also endeavor to provide a support network to help them through this difficult time of transition and help regain control of their lives. 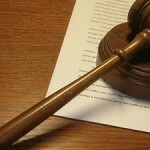 Personal Injury Attorneys Are Not All Alike! Our Folsom personal injury lawyers provide compassionate, thoughtful, and intelligent representation to all of our accident clients. Our firm is rated AV preeminent by Martindale-Hubbell, which means that our peers consider us among the most competent, ethical and capable attorneys in the personal injury legal field. The Law Office of Adams & Corzine is located in Folsom, CA. Our personal injury attorneys represent clients in Sacramento, South Sacramento, West Sacramento, Midtown Sacramento, Folsom, Granite Bay, Roseville, Rocklin, Loomis, Citrus Heights, Fair Oaks, Orangevale, Carmichael, Natomas, Rancho Cordova, Rancho Murieta, El Dorado Hills, Cameron Park, Shingle Springs, Placerville, Davis, and Woodland. The personal injury court process can be time consuming, and the steps necessary to reach a resolution in your case can be complex. 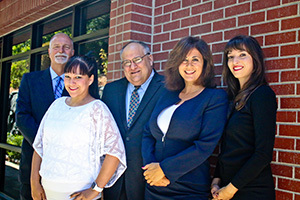 Our experienced Folsom personal injury lawyers are more than just your voice in court. Your personal injury attorney is also your guide and advocate throughout the legal process. California laws are designed to protect and provide justice for accident victims, and you deserve to receive the help needed to recover from your injury. Our personal injury lawyers take the time to get to know you and understand how we can best advocate for you. If you are in Sacramento and interested in talking more about your case, contact us today so we can schedule a free consultation in our Folsom office.